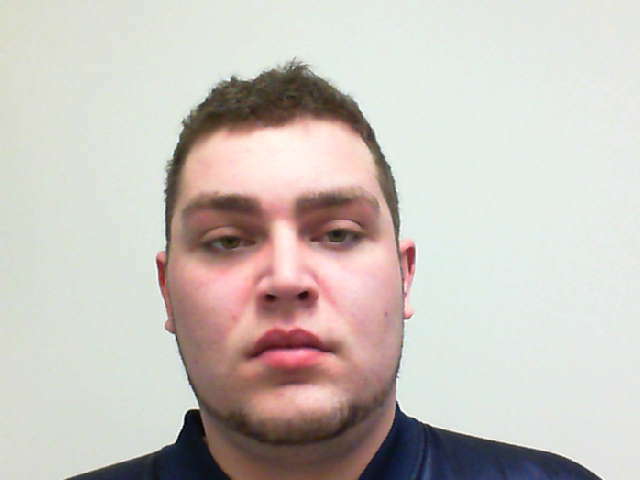 CONWAY, NH – An Albany man allegedly tried to take a Police Officer’s gun while being arrested. According to Conway Police, Officer Hill was at the North Conway Irving Tuesday ( 10/2/18) when he saw 27-year-old Alex Spaulding in the parking lot. Officer Hill was familiar with Spaulding through prior law enforcement contact and was aware that Spaulding had an open warrant for his arrest for Theft and Receiving Stolen Property. When the Officer approached Spaulding and told him about the warrant, Spaulding immediately fled on foot. As he was running away Police allege that Spaulding threw away items in a small container. The items were later identified to be drug paraphernalia and what is believed to be Methamphetamine. Once Officer Hill caught Spaulding, authorities said a struggle ensued on the ground between Irving and the Eastern Mountain Sports Plaza. During the struggle Spaulding allegedly attempted to pull Officer Hill’s firearm from it’s holster. The struggle lasted approximately 1 minute until other officers arrived on scene to assist. It was later discovered that Alex Spaulding was out on bail and also wanted on several Carroll County Superior Court warrants. Spaulding was charged with theft a class B Felony, Resisting Arrest or Detention a class A Misdemeanor, Simple Assault on Law Enforcement a class A Misdemeanor, Taking Gun from LE (Attempt) a class B Felony, Possession Controlled Drugs Felony Special, and Falsifying Physical Evidence a class B Felony. Police said that Spaulding has a lengthy motor vehicle and criminal history.